RCS Messaging as a platform (MaaP): Operators can enable businesses to deploy chatbots within RCS messaging allowing users to shop, book taxis, order food, buy tickets or use virtually any mCommerce service without the need for additional apps. 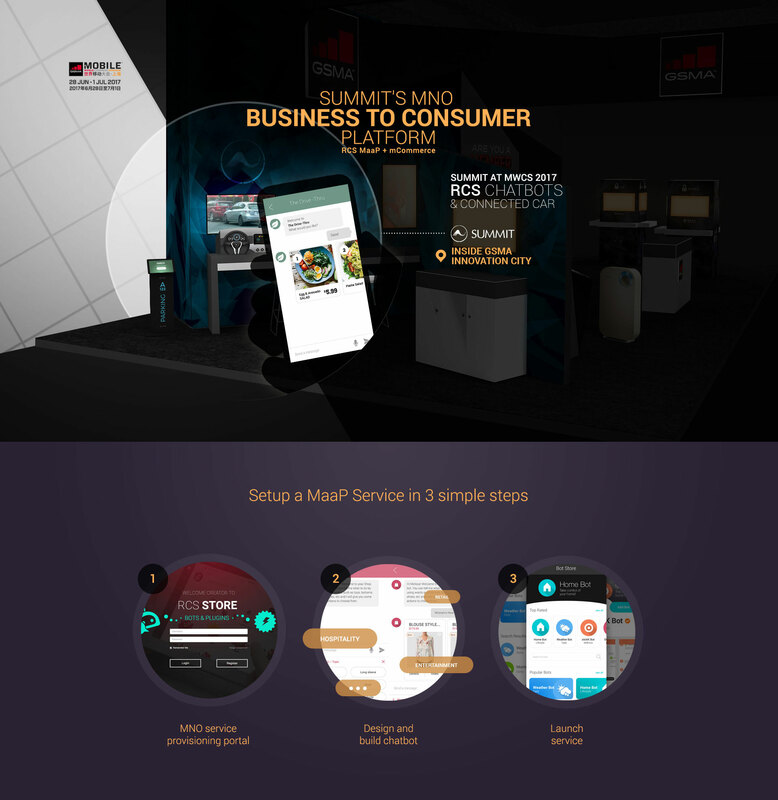 At MWCS17 within the GSMA Innovation City, Summit will demonstrate how service providers can enable chatbots through location share, NFC, Bluetooth & RFID tags which trigger location specific MaaP messages delivered when needed, for example entering a fast food outlet to place an order through a chatbot service. 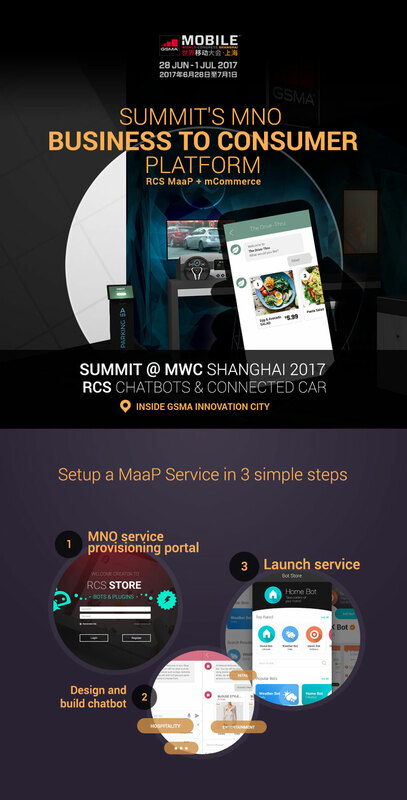 The live RCS MaaP demo by Summit Tech features the IMS Connected Car alongside the restaurant drive-thru service comprising of RCS chatbot linked with an MNO Cloud-based mCommerce platform. MNO enabled chatbot services enable businesses from retail, hospitality and the entertainment industry to build and customize a complete end to end mCommerce based RCS chatbot service in minutes.